I can’t believe I haven’t posted for over a month. December went by so quickly — and half of January, apparently! I started this post well over a week ago. 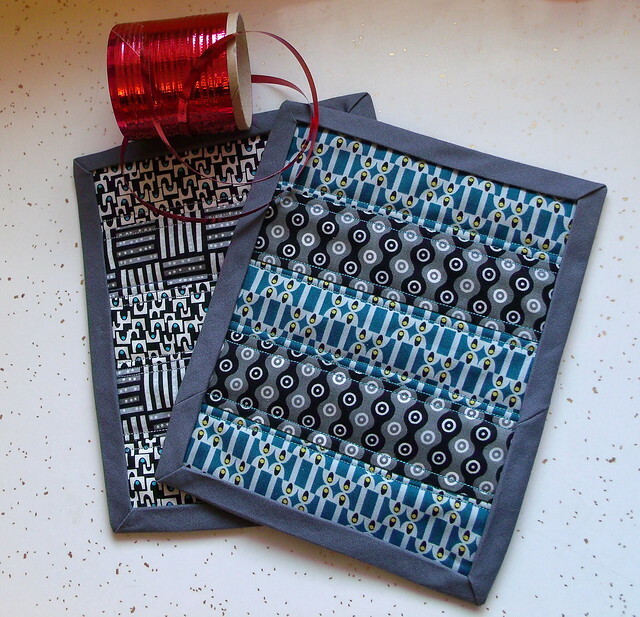 I sewed a few Christmas gifts this year, which I think is a first for me. I had some issues with my walking foot while doing the quilting. The stitch length was teeny-tiny, even though I had it set to something like 12 or 14 stitches per inch. I couldn’t figure out what was wrong while I was doing it. I checked everything, or so I thought, and nothing seemed wrong, so I decided to just live with the teensy stitch length. After I was done, I realized I had the fabric selector lever set to silk instead of normal, so the feed dogs were partially dropped. Whoops. I had just oiled the machine before I started, and when I haven’t given it a good, thorough oiling for a while, I like to put a drop on all the parts that move, not just in the oil holes. So while I was moving all the levers and things to oil the moving parts, I turned that lever to silk and never turned it back. I’m pretty sure that folks who don’t sew wouldn’t think anything of it, though. 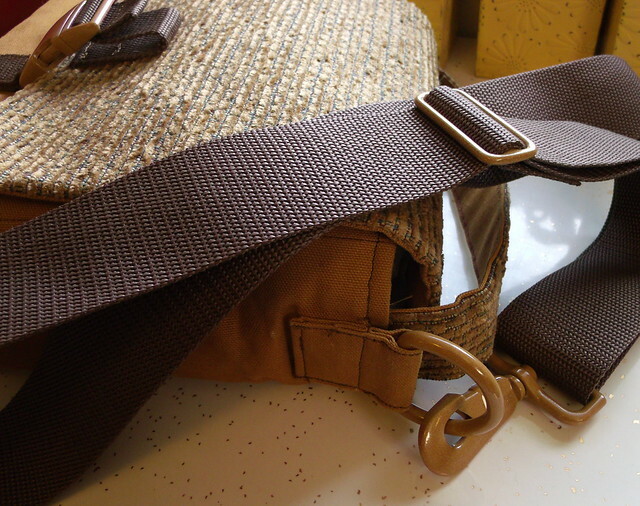 And I finished the man purse messenger bag in time for Christmas, which was pretty near to being a miracle. I had set it aside temporarily in the summer because I was having some difficulties with it and had ripped out the edgstitching around the back two or three times and still managed not to catch the flap in the stitching. Then the broken wrist incident happened, and after the cast came off, the first time I tried to work on it, I spent 10 minutes ripping out a handful of stitches before admitting defeat. My hand needed more time to recover before I could do it — especially since I had to hand stitch around the sides of the bag. See how the anchors for the long strap are in the same spot where the short handle inserts between the outer bag and lining? That just wouldn’t go under the presser foot, and it was also going to take some doing to hold all the layers in place while I hand-stitched it. I finally was able to start working on it again during the week before Christmas. You can see where I still needed to tack down the webbing on the flap when this was taken. I needed input on that, and I didn’t want to tip my hand that I was working on it again. Its existence wouldn’t be a surprise, but at least being done by Christmas would be. The hand stitching is not pretty, but it’s sturdy, at least. 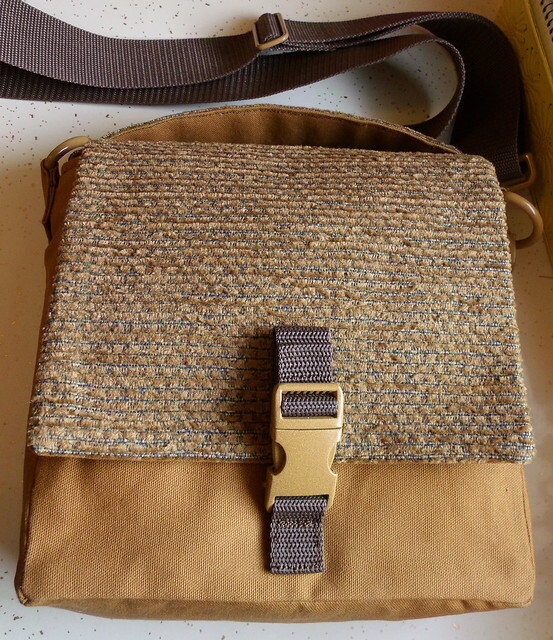 The pattern is a modified version of the Walter + Veronica messenger bag. Oh, and I finished this little guy, too. I somehow left him out when I first wrote the post and had to edit him in afterward — oops! Because I packed him up to mail him off the same night I finished, I unfortunately only have an odd-looking photo taken under the task lighting in my sewing room. 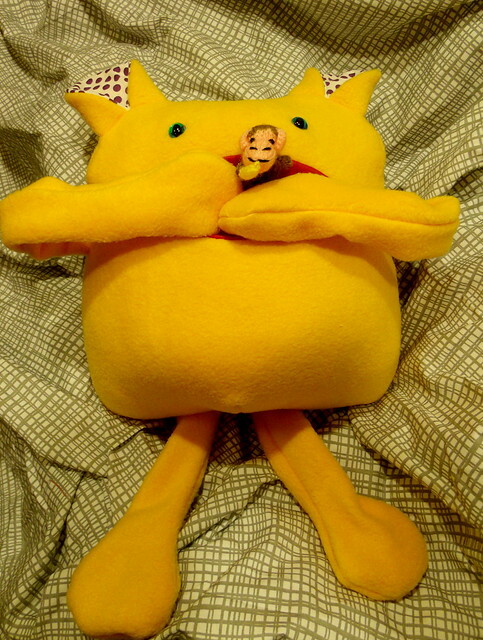 This is the Munch pattern from Shiny Happy World and was so much fun to make. It was my first time using safety eyes, which were simpler to put in than I thought they’d be. I did make one major goof — I inserted his legs in the seam between the back and bottom, rather than the seam between the front and the bottom, so his legs don’t seem quite as long as they ought to. But I won’t tell if you don’t! I’ve also finished the last few blocks for my sampler quilt and have started putting it together, more on that in a day or two.